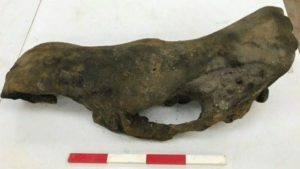 A road crew working on an A14 overpass in England unexpectedly found the bones of a woolly mammoth and a woolly rhino. The remains were found in what once was an ancient river, and experts say they may be 130,000 years old. Dean Lomax, a paleontologist, called the find “exciting” and “quite uncommon”. 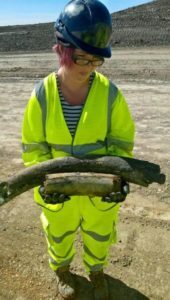 Highways England has said they will be sending the bones to London so that specialists can make a thorough analysis. Adrian Lister, of London’s Natural History Museum, was one of the scientists who did the analysis. 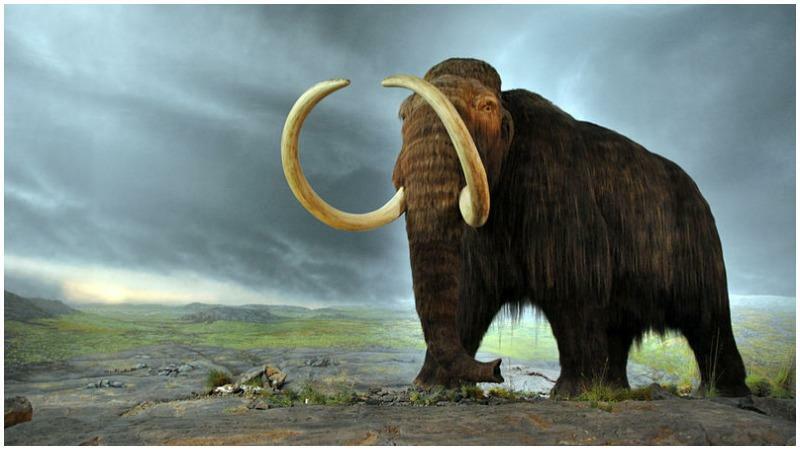 He says that “Mammoths are conventionally believed to have become extinct in north-western Europe about 21,000 years ago during the main ice advance, known as the last glacial maximum. Our new radiocarbon dating of the Condover mammoths changes that by showing that mammoths returned to Britain and survived until about 14,000 years ago.”Improved methods for the purification of samples for carbon dating have made it possible to get much more accurate results. 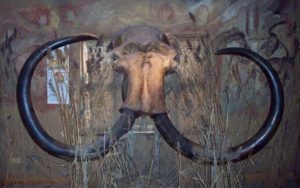 Comparison of woolly mammoth (L) and American mastodon (R). The improved sample purification has allowed for inaccuracies to be rectified. The last Ice Age was between 75,000 and 12,000 years ago, but during that time the Earth’s climate still had a lot of variations, with warmer and colder periods. About 21,000 years ago, an especially cold period began, causing ice sheets to expand all over Britain. It was about that time when mammoths and a lot of other mammals of the time, such as woo; ly rhinos, bison, and giant deer disappeared from Britain. Lister’s research suggests that many of those animals came back, however, when the weather warmed back up. He said, “Plant growth had started again, and there was rich grassland and that’s exactly what the mammoths liked.